I did not intend to show any adults in 2015-16 show season, but was encouraged by a fellow breeder to do that. 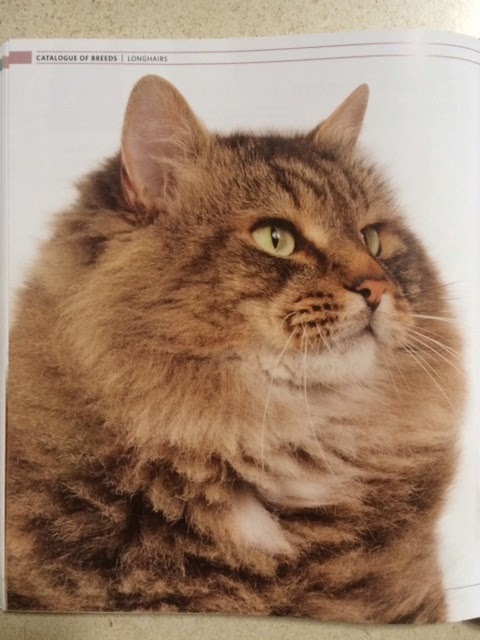 IW SGC Musrafy Shishka had her first litter of kittens in Summer 2015, so she had to get back into show condition before appearing on the podium. She only had a short 5 months show season (December-April), but achieved outstanding results. 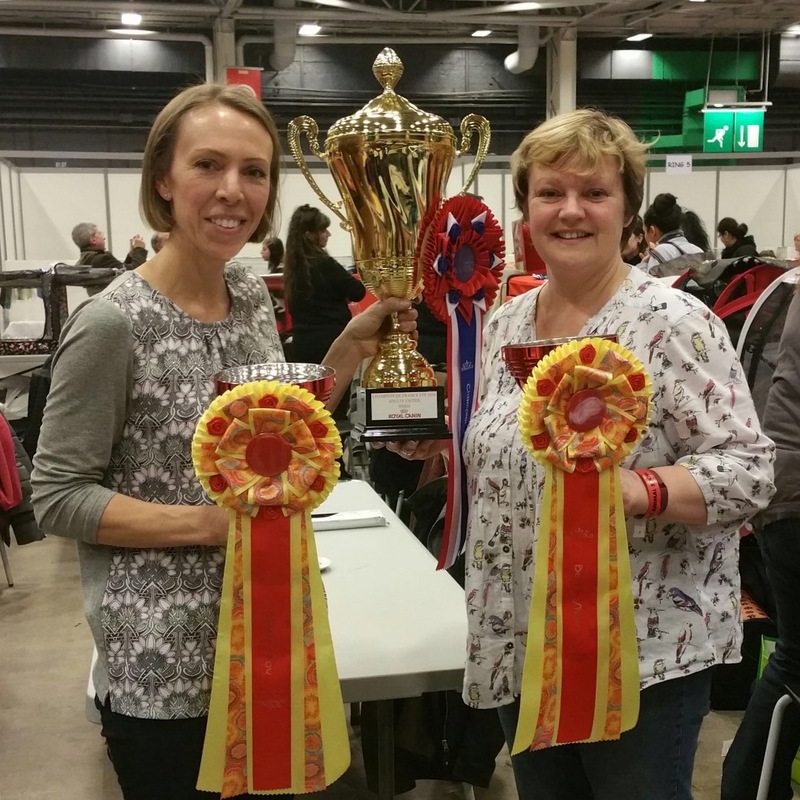 As well as winning several Best in Shows on the continent, including Fife Champion of France - the Royal Canin Cup, she achieved outstanding results in TICA. 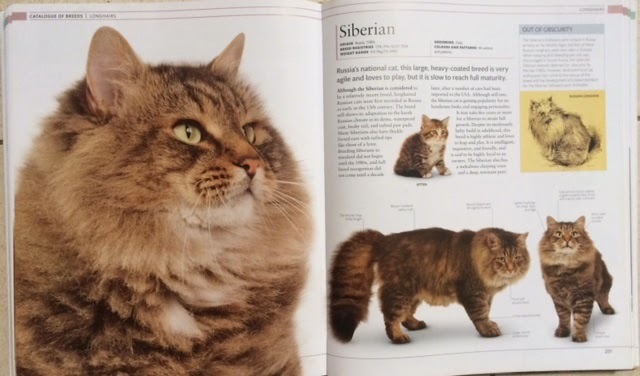 She became Best of Breed Siberian and the very first Siberian Female Adult cat to become an International Winner. 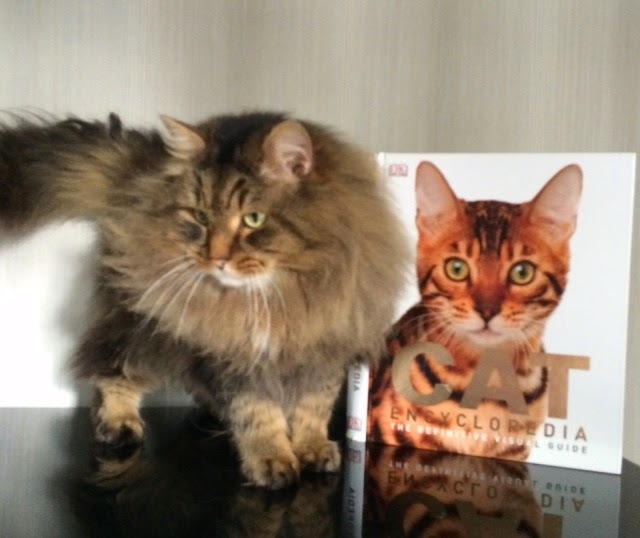 I never had any doubts in her quality - very heavy build with superb coat texture and excellent pedigree. 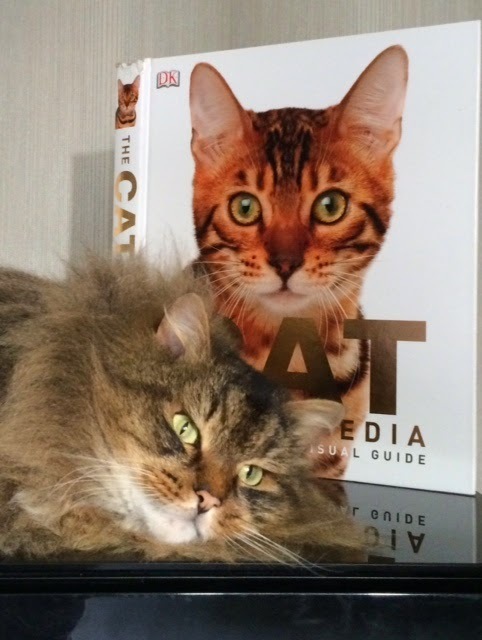 Her Regional Winner mother Musrafy Yanara was Best Siberian Kitten in the World 2011-12, and dad Buran Manchzhury - also Regional Winner, Supreme Grand Champion and 2nd Best Siberian Cat in Europe 2014-15. Both of Shishka's parents are now retired and live very happy and low profile lives. Yanara with one of Musrafy 2015 kittens and Buran with an allergy sufferer. Shishka is getting lots of rest as she is currently expecting her second litter. Musrafy Shishka, a young adult female and Musrafy Goldstream, a 5 months old boy attended The 2016 PARIS ANIMAL SHOW. 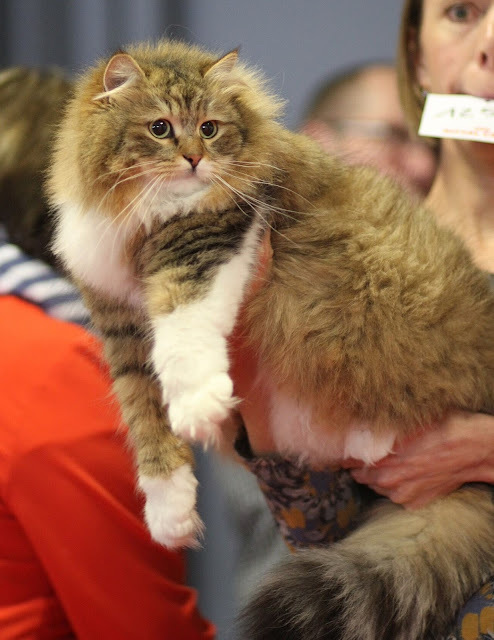 It was a huge event held in Paris Expo with over 500 top feline entries and hundreds-thousands of spectators. Around 40 Siberians were in competition and it was very nice to see them and their breeders/owners, make new and meet old friends. My cats were judged in all three systems : FIFE, TICA & LOOF.